I love cooking our meals from scratch but I don’t like spending too much time in the kitchen, especially on the days I work. 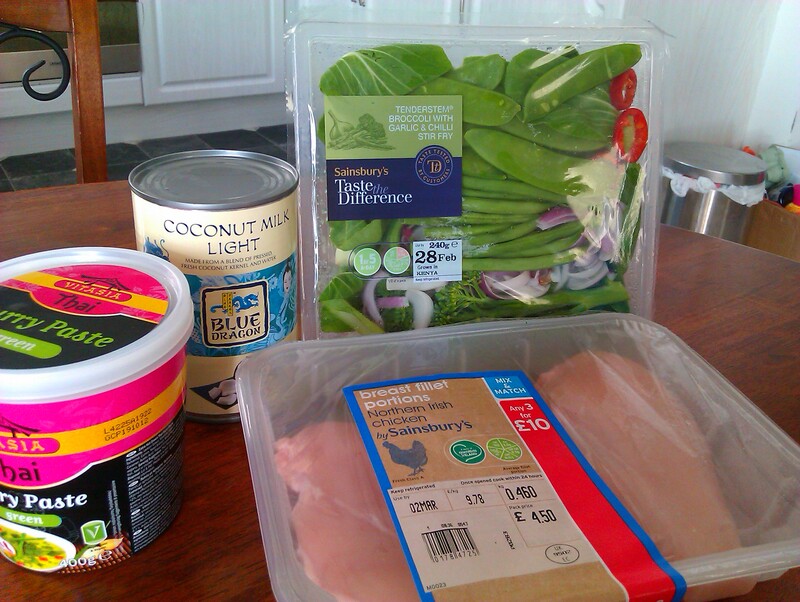 So tonight I’ll be making a meal we all love that takes less than half an hour to put together: Thai chicken! These are my four magical ingredients: chicken breast, that I chop and tenderise in the pan with a bit of coconut oil, salt and pepper. Green Thai curry paste( a couple of spoonfuls) that I add to the chicken, once cooked(I never let it get brown, just not pink in the middle). Reduced fat coconut milk that gets added on top of the chicken and curry paste, once the chicken is coated in the paste. And stir fry veggies that I add after the coconut milk has boiled for a good 10 minutes and infused the chicken, only for about 3 minutes(I have overcooked veggies!). I serve it with boiled rice. How do you get sticky Thai rice? Add 1 and a half cups of water to one cup of rice, a bit of salt and bring to boil. Let the water evaporate, the turn the gas off but cover with a lid and let sit for about 10 minutes. Voilà, easy dinner served! This is day 11, there are only 29 days left of this challenge!